It's Christmas Eve in Australia and I'm done with sewing for a few days. 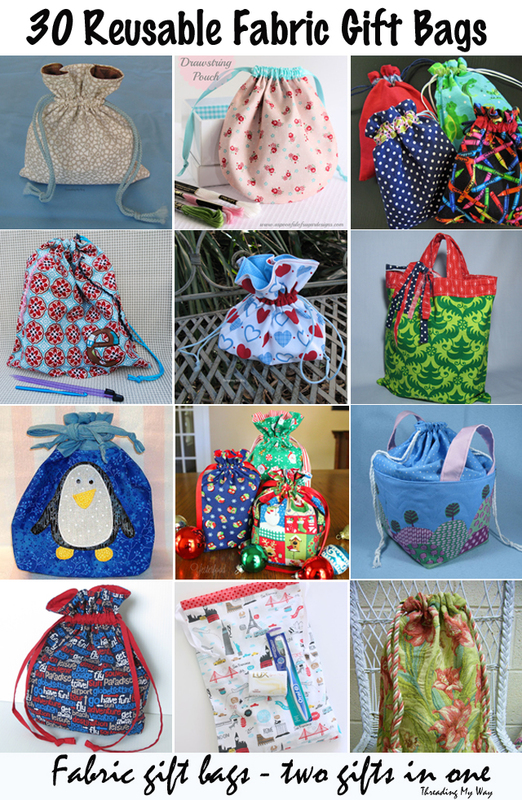 No, I didn't finish all the gifts I had planned to sew. Last night, at 1.00am, I decided that enough is enough. Hand sewing a zip upside down was the final straw. It's going to be a super cute little pouch when I rip out the stitching and re-attach the zip, but today's not the day. 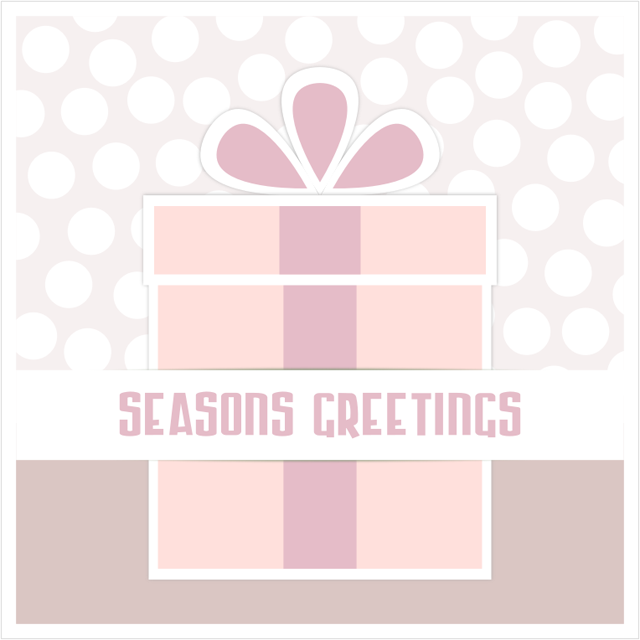 Handmade gift tags and cards are a lovely finishing touch to a wrapped present. They don't need to be fancy. Often a simple card looks the most effective. 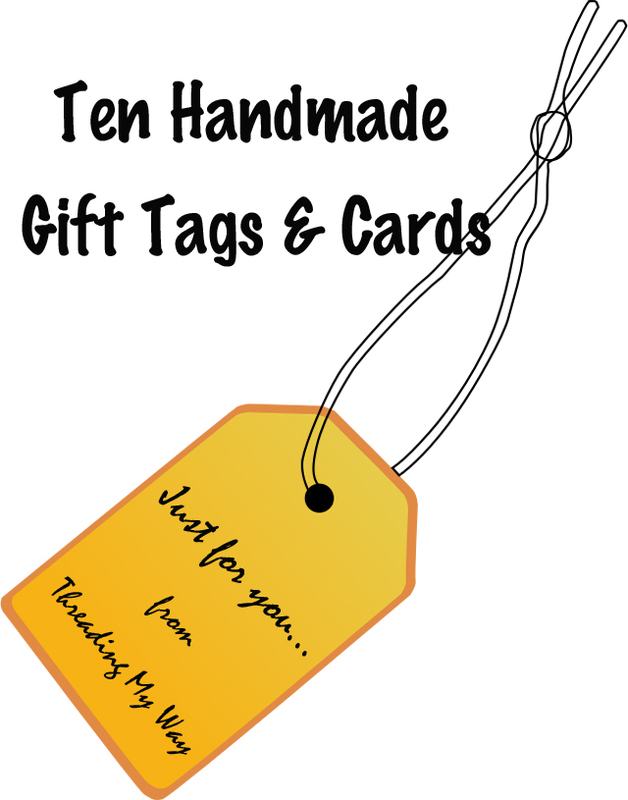 Today I am showcasing 10 quick and easy gift cards that I have chosen from the Gift Wrapping link party, here at Threading My Way. 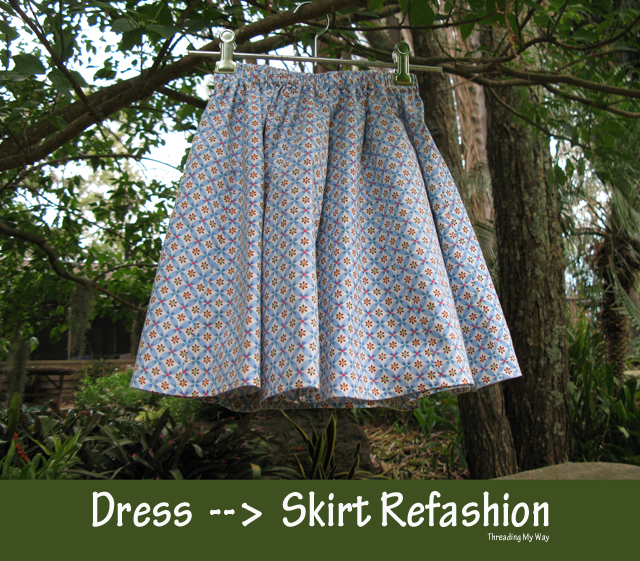 This would have to be the easiest refashion ever - turning a woman's dress into a skirt for a young girl. It's a really quick make; less than half an hour from start to finish. 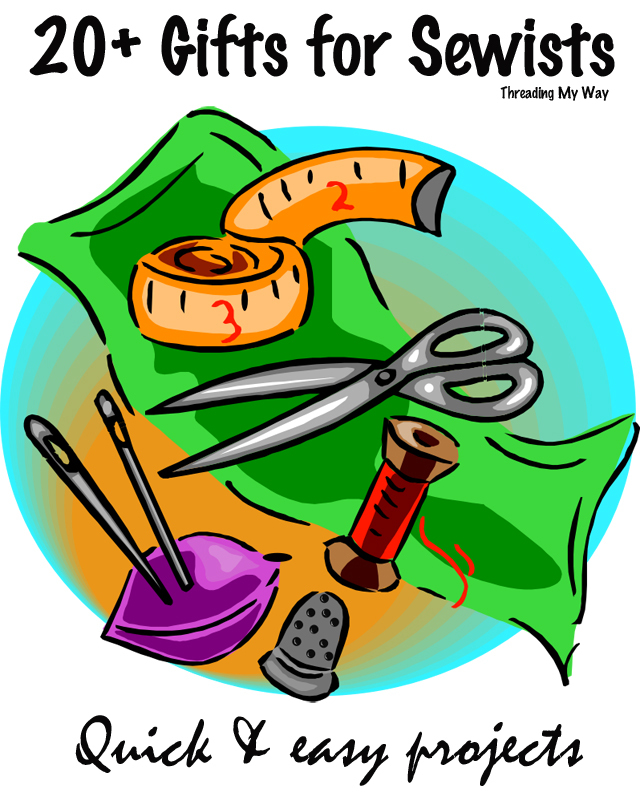 Today I am sharing 21 sewing accessories - projects that would be perfect to make for someone who sews. Most of them are quick and easy makes. Jeans - we all wear them. Whatever the style - straight leg, boot cut, skinny, high rise, low rise, flared, boyfriend, slim, tapered - jeans are made with denim; a sturdy, cotton fabric that wears well. Durable as they may be however, jeans don't last forever. Thinning fabric, particularly in the knees, eventually leads to holes. 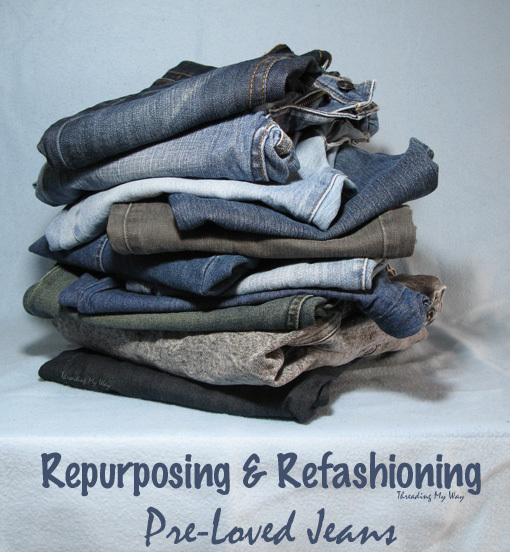 So, what can you do with pre-loved jeans that no longer fit, are too old to wear or are simply not a style you care to wear anymore? Reusable fabric bags are a great way to wrap presents. Not only do they look terrific, but there's nothing wasted or thrown out. 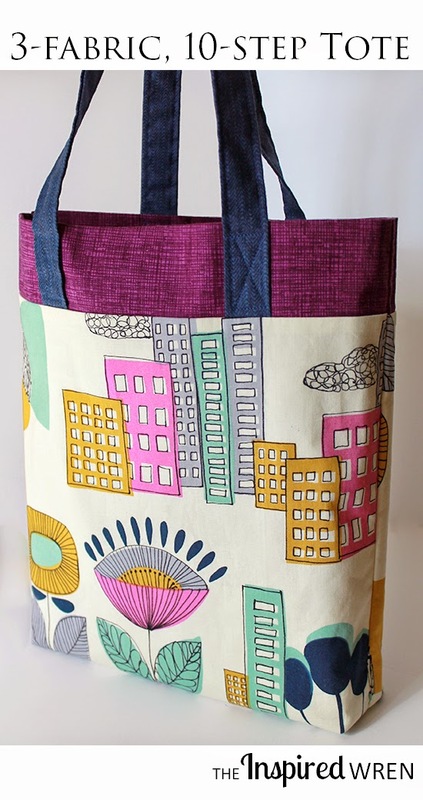 Bags can be very simple; just a couple of rows of stitching, tied with a ribbon and made in literally minutes. Or they can be more elaborate and a gift in themselves, with the lucky recipient receiving two gifts in one.